Location: Kosharitsa is a small village, situated in Nessebar municipality, in the region of Bourgas. 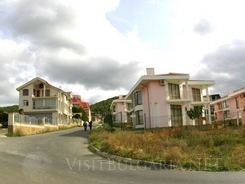 It has a very good location, just 4 kilometres away from the Bulgarian equivalent of Las Vegas - the lively Sunny Beach Resort. 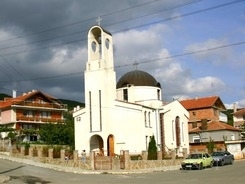 The picturesque village is beautifully nestled at the foot of the Emine Balkan, part of the Old Mountain Balkan Range. It reveals unforgettable views towards the mountain and at the same time its close proximity to the sea and the lovely beaches of Sunny Beach makes it a perfect place for a relaxing summer holiday. History: The lands around Kosharitsa were first inhabited by the Thracians, who later mixed with the Slavs and Proto-bulgarians. The territory around the village has preserved numerous traces and valuable findings from the Roman epoch. During one of the historical stages, the village fell under Byzantium rule, and is later returned back to the Bulgarians, and then the region was again conquered by the Byzantines, to be seized by the Ottoman Empire afterwards. Until the Liberation of Bulgaria, the territory remains under Turkish rule, although this does not affect the Bulgarian lifestyle and commonsense of the local population. The village itself was found by the beginning of the XIX century. Grandpa Ivan and his heirs are considered to be the founders of the village. He settled in the lands of today’s Kosharitsa in 1846. He had a sheep pen and a hut nearby the gully of the village. Here he found settlers form Sarakioi and Karabunar, who helped him settle the village that first bore the name Kashla-dere. The name Kosharitsa came later. It comes from the word “koshara” – cattle pen, as breeding was the major occupation in the village. Today the village is exceptionally charming – it has preserved its neatness and beauty. 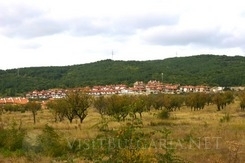 The village is situated at the foot of the Balkan mountain range and offers magnificent views – towards the old Nessebar to the East, Pomorie to the South, and in a clear day the hills of the Strandga Mountain can be observed. 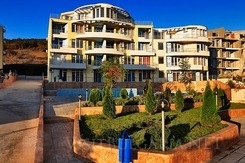 The world famous and live resort Sunny Beach is situated in a very close proximity to Kosharitsa village. Sunny Beach offers numerous entertainments and excellent nightlife. Right next to the village is the natural reserve “Kalinata”. There is a natural habitat of torfaceous snowdrop and unique plant life in the dense forest “Kalinata”. Kosharitsa is listed in Natura 2000 (a network of protected areas in Europe). Main ornithology route is passing above the village as well. Nowadays the region offers harmony, beauty and tranquility of the clear and virgin nature. 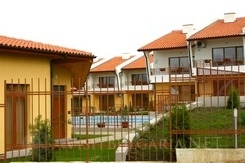 All these advantages transform the village into an attractive site for people form all over, who own summer villas and vacation apartments in the village. The tranquility here guarantees wholesome relax and stress relief of the everyday life, and the sandy beaches and the wild nightlife are just 10 minutes away by car. Kosharitsa has been recently developing, while plenty of investments are being made in the region. There are a variety of project development plans, including construction of a golf course in Kalinata Range and building of modern residence complexes. 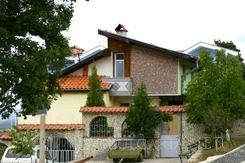 Many properties for sale in the region are offered as well. Sport and tourism: Kosharitsa offers very good opportunities for sport tourism, including mountain biking, fishing and hunting. You will be surprised by the natural beauty of the place. If you want to experience a different summer holiday, the small village is definitely the right challenge for you!